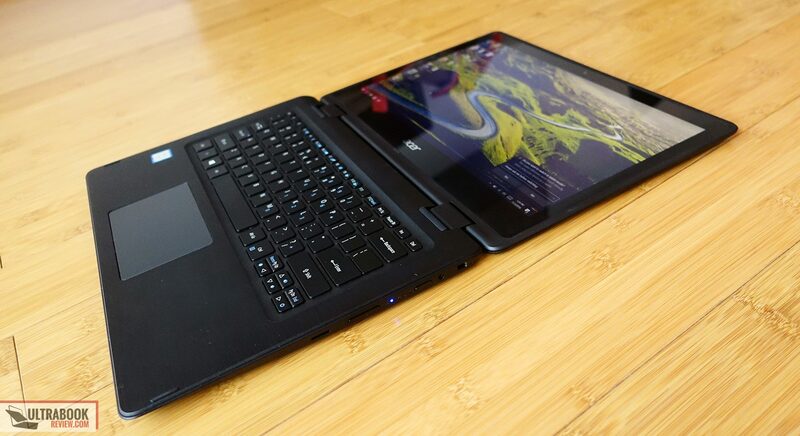 Summary: There are some "ifs" and "onces" that you'll have to accept about this laptop, like the fact that it performs well once you get rid of the bloatware and it types well if you appreciate short-stroke keyboards. There are also a few things you'll just have to take for granted, like the dim screen and undersized cooling system that's noisy and not very good at keeping temperatures at bay. 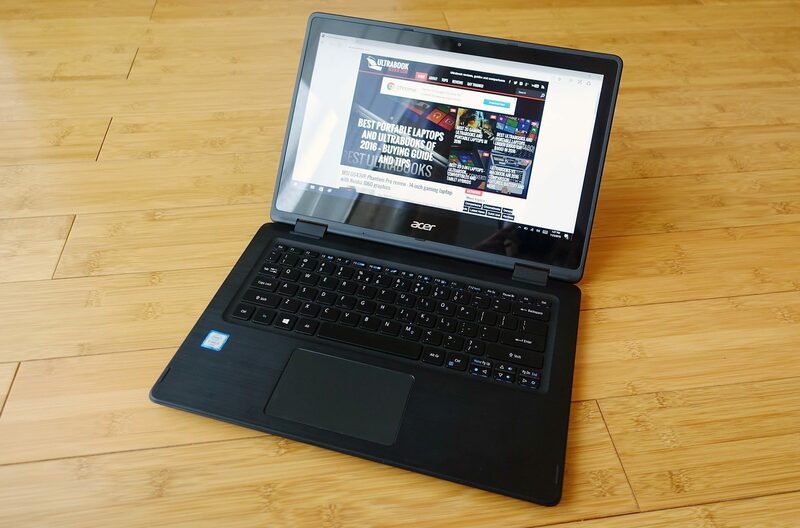 But despite all these, the Acer Aspin 5 is a solid pick if you're on a budget, a sturdily built 13-inch convertible that handles daily chores smoothly, lasts for a long time on a charge and sells for less than the competition. Read on for the long story. 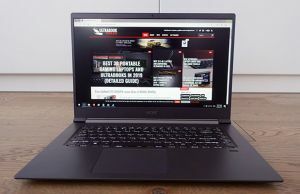 If you’re looking for a Core U laptop with a compact case, convertible form-factor and an affordable price, then you absolutely have to check-out the Acer Spin 5, a device that’s already available in stores and sells for $499 and up in the US and 599 EUR an up in Europe. We’ve spent some time with it in the last couple of weeks, and we’ve gathered all our impressions in this article. The Spin 5 is not without flaws, among them being a dim screen that’s not going to do well outdoors and an moody fan, but it’s also well built, performs well, types alright and packs a large battery, so the value you’re getting for the buck is almost unbeatable by other convertibles available out there at the time of this post, a recipe Acer also follows with the Swift 3 we reviewed a couple of weeks ago. 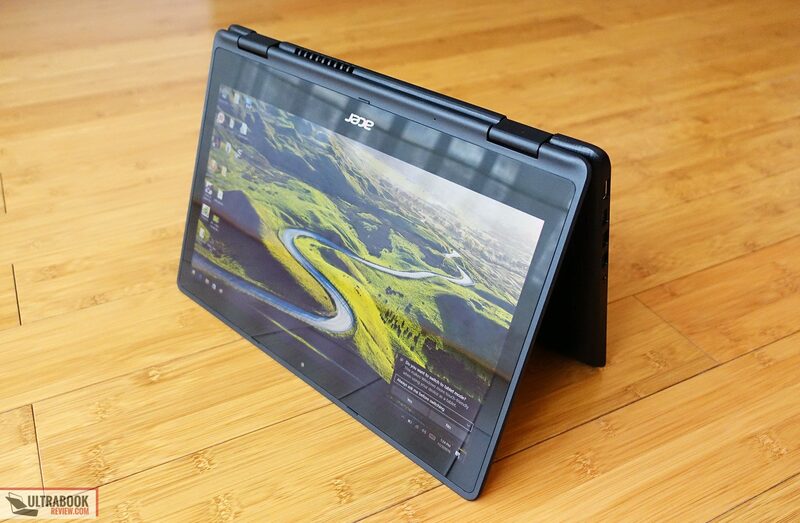 Keep reading to find out all about the Acer Spin 5, where it shines and where there’s room for improvement. 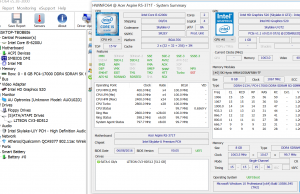 This test unit is built on Skylake Core U processors, but the Spin 5 is also available with Kaby Lake processors in some regions. There are very small differences between the two generations though. You shouldn’t forget how much this costs when you get it out of the box, cause the Spin 5 is a little chubby and mostly built out of plastic, but I am for sure biased by the fact that I usually review notebooks with thinner profiles and more premium materials. 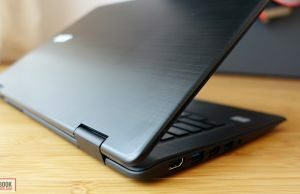 So if you’re a regular user coming from a regular laptop, you’ll probably find this one quite good looking and compact. The lid is the only part that’s covered in aluminum, with a brushed-metal texture. It looks nice, but the sheet is thin so there’s some flex here and because it’s black, it will shows smudges and finger oil easily. 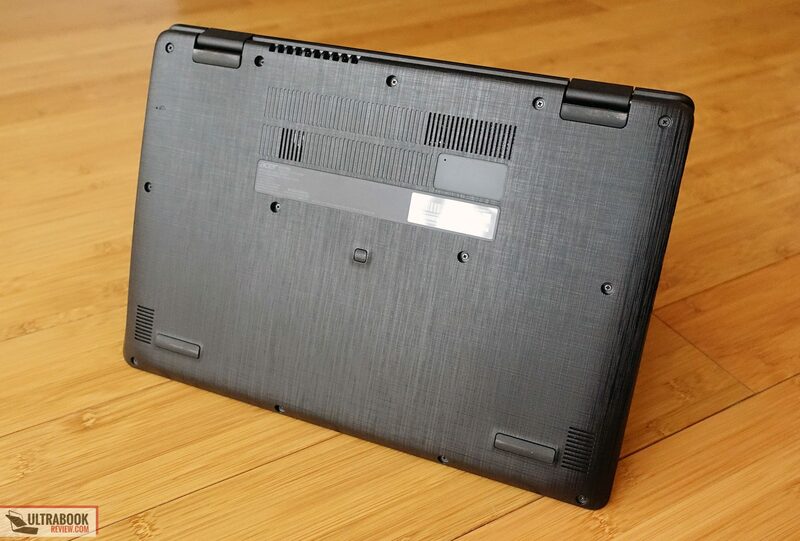 The rest of the body is solid though and the main-case is actually built out of a thick piece of rugged plastic, with a textured finishing meant to mimic brushed metal to some extent. 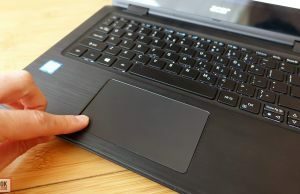 The exact same material is found on the interior, on the arm-rest and around the keys, and while it’s not the most appealing, it’s grippy and won’t scratch easily. On top of all these, the finishing quality of the Spin 5 is pretty good, as I haven’t found any creases, sharp edges or uneven joints, so overall I feel this laptop is well built and should face the daily hassle well. On the practical side, the Spin 5 is a convertible and that means its screen rotates 360-degrees on the back. 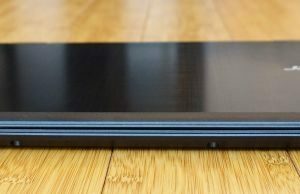 Two strong hinges bind it to the main-body, and they look just like the hinges on the Asus Zenbook UX360CA and feel about the same too. That means they’re fairly strong and you can lift the screen with a single hand up to about 90 degrees, but you’ll need both to go beyond that. 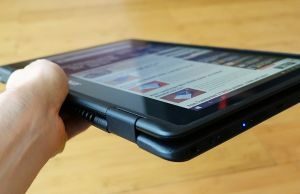 I’ve mostly used this as a laptop, but it’s quite comfortable to hold and use in tablet mode too, albeit it is rather heavy. 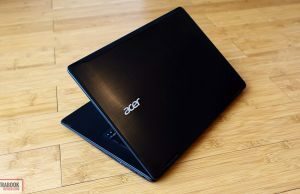 Speaking of weight, the Acer Spin 5 tips the scales at 1.48 kilos, or roughly 3.5 lbs, so it is heavier than the more premium 13-inch 2-in-1s available these days that weigh under 3 lbs, but that’s one of the reasons why it’s well built, why it packs a large battery and why it’s affordable. That aside, the Spin 5 feels comfortable to use with daily tasks. As I mentioned earlier, the grippy exterior and solid construction help when grabbing it and when you’ll throw it in a backpack. 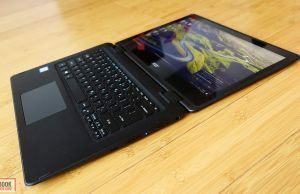 The blunt edges and rounded corners also make it comfortable to use for typing, and the screen is not top heavy so you can adjust it to any angle you might want. The rubber feet on the bottom are a bit hard though, and as a result they don’t offer much grip and the laptop slides away easily on a smooth desk. 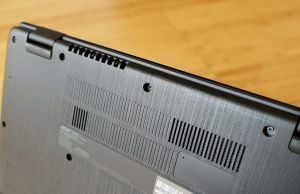 One other practical aspect to mention is the hot-air exhaust placed on the back side, which is not going to bother you any way, regardless on how you decide to use this computer. 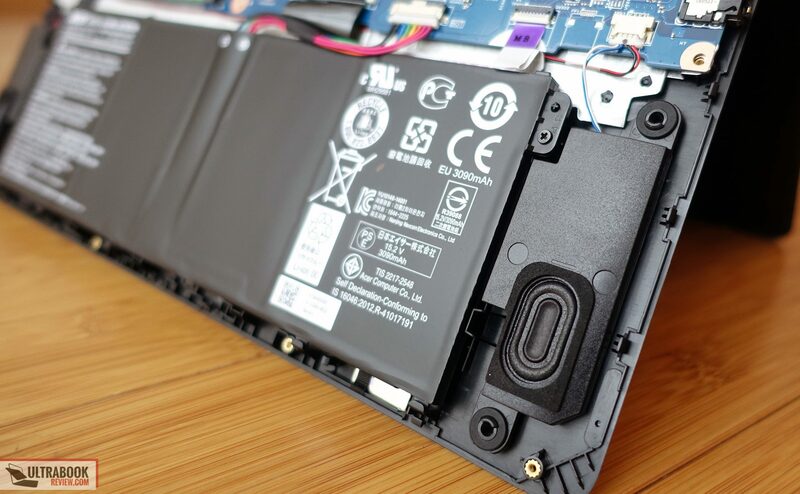 However, lap use is not that pleasant due to the high-temperatures the laptop reaches on its belly, but we’ll talk more about these once we get to the right section. The Spin 5 also offers a fair selection of ports, with three USB slots, HDMI for video output, a Kensingtion Lock and a card-reader. 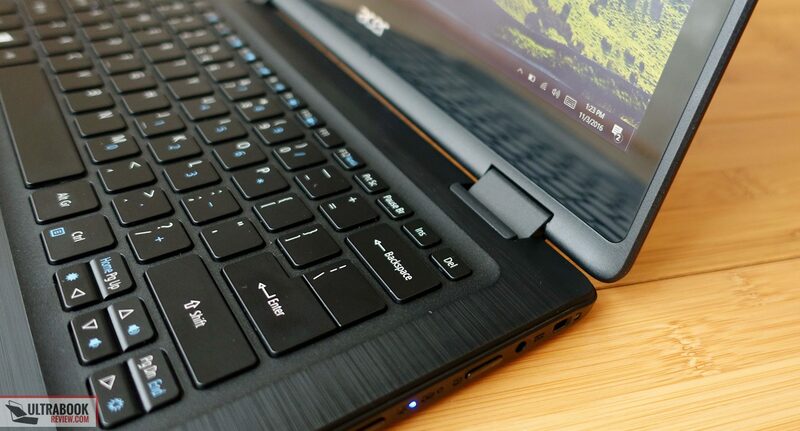 However, there’s no USB 3.1 and only one of those USB slots supports 3.0 speeds, and Acer only went with a microSD card-reader despite the fact that there’s plenty of room on the side and especially on the interior (see below) for a more useful SD card-reader. So the IO could be better. 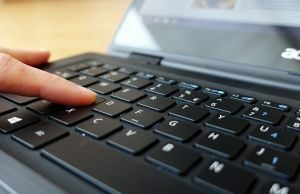 I like the keyboard on this computer, but I also think most of you might not feel the same, and that’s because it is shallow and its keys have a short travel. 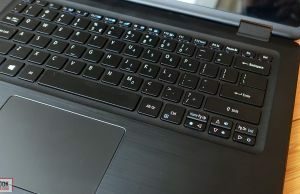 I’m used to shallow keyboards and this one here offers stiff keys with a good amount of resistance, and that’s why I think it types better than my XPS 13. 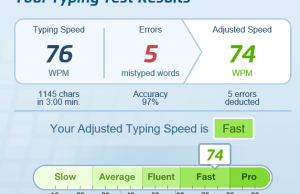 It also types fast, accurately and fairly quiet, as the typing test result below proves. But even I needed a few days to get used to the feedback and short stroke, so there’s definitely a break-in time with it. 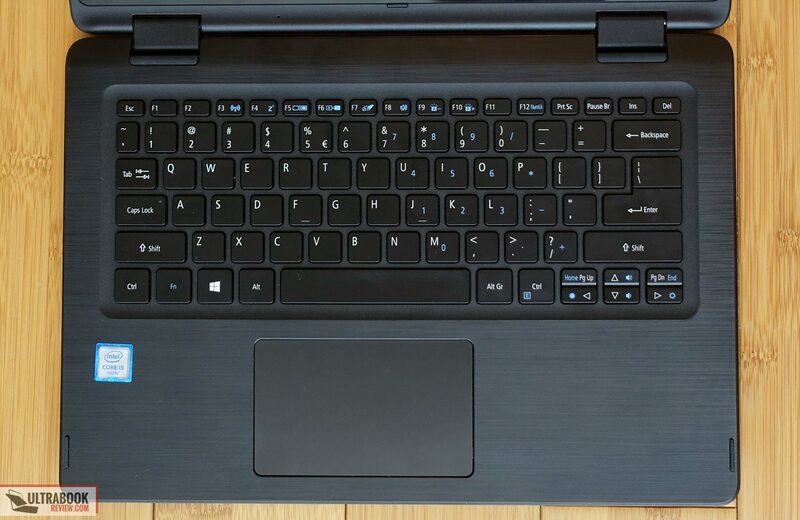 If you’re coming from an older laptop with taller keys, chances are you’ll struggle with this one, so keep that in mind. The keyboard is also backlit and you can choose between two intensity levels, however both are dim and barely able to light up the keys. On the other hand, due to the low brightness and the short travel, you’re not going to be bothered by the light creeping from under the keys with regular use. 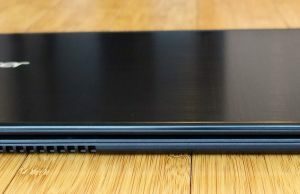 Oh, and the backlightning is only activated by hitting a key and not by swiping your fingers across the trackpad, which I find annoying, but it’s at the same time common with most affordable notebooks. 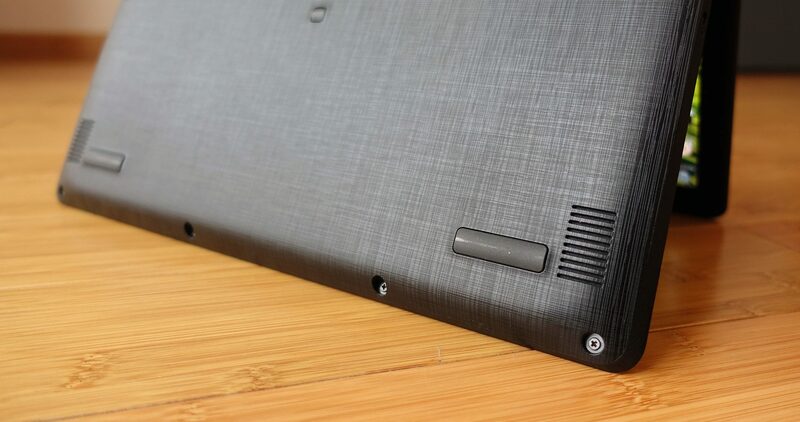 On to the trackpad, it’s placed beneath the space key in the middle of the laptop, it’s built out of plastic, which means it’s has a little rougher and less glidier texture than the glass options, and it’s an Elan Pad surface. That usually spells trouble, but not here, as this trackpad performs really well with any sorts of taps, swipes and even gestures. It even supports two finger lateral swipes for Back and Forward in the browser, which is a rarity on Windows 10 computers these days. 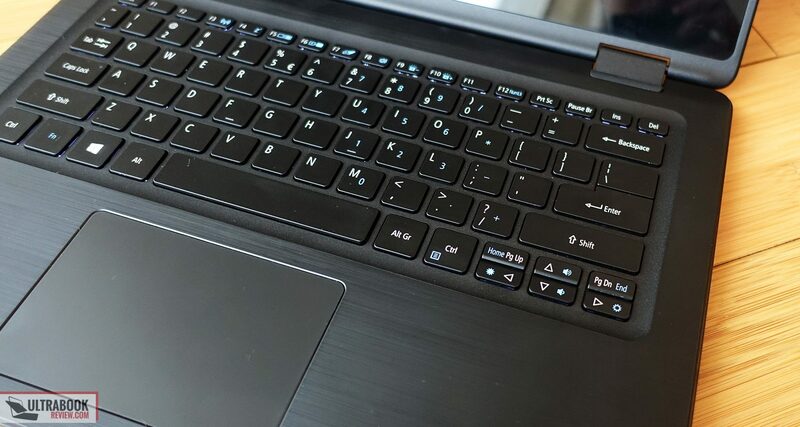 If I must complain about anything, that would be the click buttons being rather clunky, but that’s definitely nitpicking cause overall this Spin 5 gets a surprisingly good trackpad. 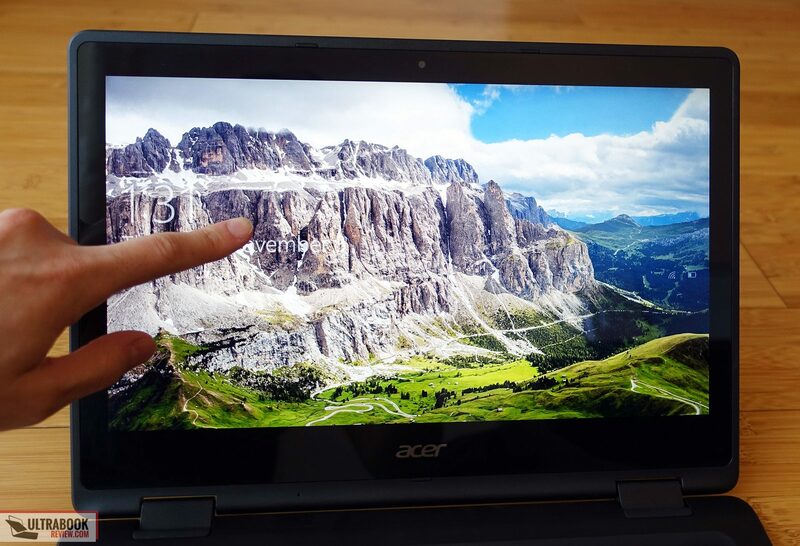 For the screen Acer went with an 13.3-inch touch-enabled IPS panel, without an active digitizer or pen support(some literature mentions the digitizer and active pen support, but I can’t confirm it, I didn’t have a suitable pen to try this out). The good news is they didn’t chose a TN panel, but the bad one is that the IPS panel is mediocre in terms of color coverage and brightness. 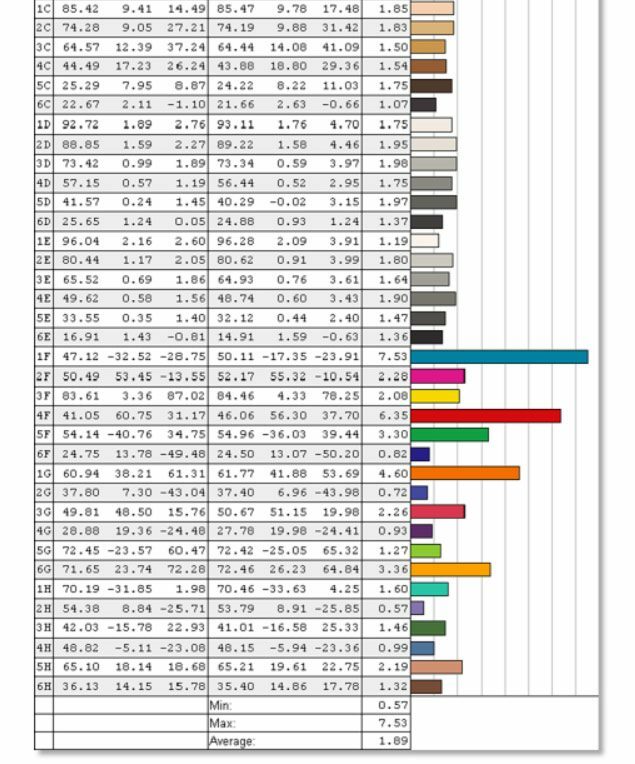 Still, the colors are decent enough for daily use and I doubt professionals who require an accurate panel would choose this one for their work. 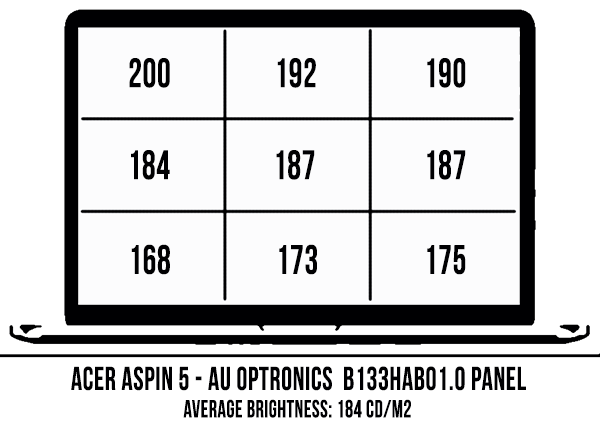 There’s no way around the brightness though, and at under 200 nits you’ll really struggle to use this display outdoors or in bright environments, but if you plan to keep the Spin mostly inside, the dimness won’t bother you that much. 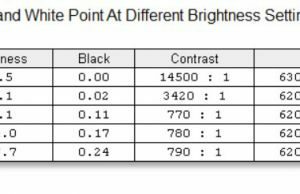 On the other hand, blacks are solid on this panel and as a result the contrast is deep, the viewing angles are pretty good and the white point is close to the 6500k standard. 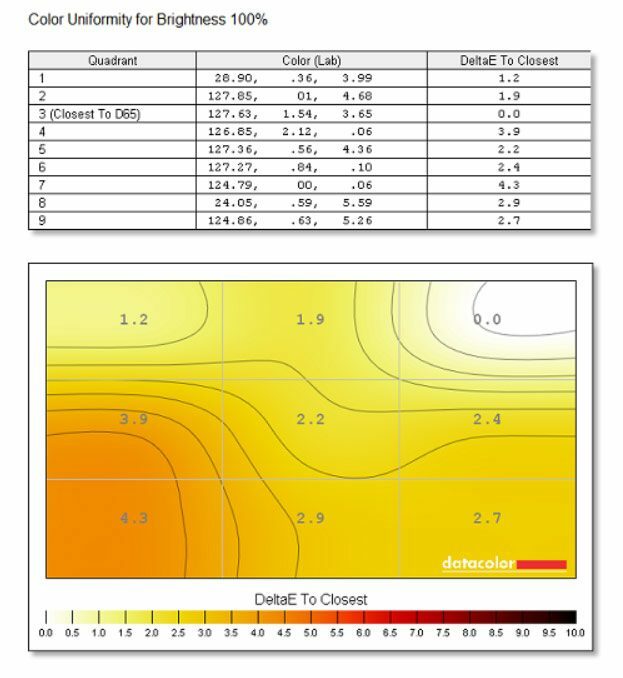 You’ll find more details in the rows below, and in case you want to address the white point, gamma skewness and color accuracy to some extent, you’ll find our calibrated ICC profile over here. 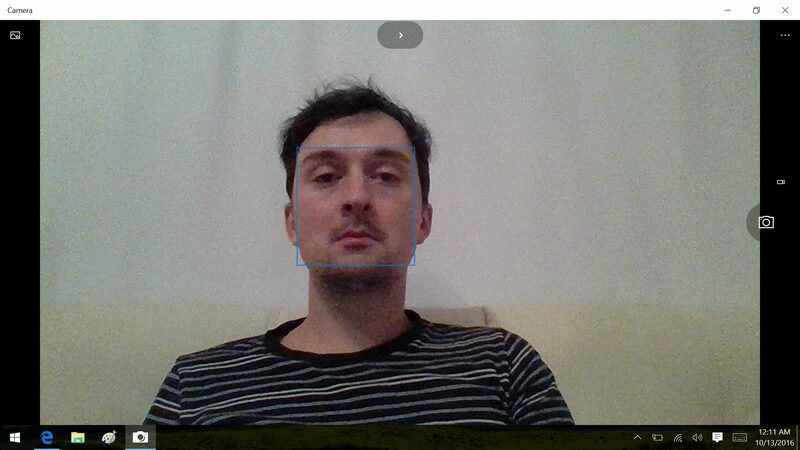 Average DeltaE: 1.89 uncalibrated, 1.35 calibrated. Hardware wise, the Spin 5 series is built on Intel Skylake Core U hardware with 4 or 8 GB of DDR4 RAM and M.2 SATA 80 mm SSD storage, but Kaby Lake Core U configurations are also available in some regions. We got to test the mid-level Skylake configuration with the Core i5 processor, 8 GB of RAM and a 256 GB SSD, the one I think offers the best bang for the buck out of all the available options, but you could go for the base Core i3 version as well if you only plan to use the laptop for basic daily tasks, especially since the RAM and storage are upgradeable. To get inside you’ll need to go past the plastic belly that’s hold in place by 13 Philips screws. Easy peasy. 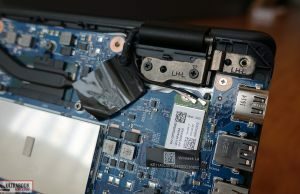 Once in here you’ll notice the M.2 80 mm SSD on the left, the Wi-Fi chip toward the top-right corner and an aluminum shield that covers the RAM, which you have to grab and pull in order to get to the DIMM. 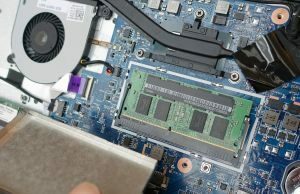 You might not have to though, as most configurations come with 8 GB of RAM and while there are some 16 GB DDR3 modules that should work in there, those are very expensive. You’ll also notice there’s a lot of unused space on the left and what I consider to be a very basic cooling solution, with a single heat-pipe and a small plate that barely covers the CPU (in fact, it looks like it’s only covering the GPU and the CPU half is completely exposed and not touching the plate), and this is probably the reason why this laptop gets hotter than a Core U device should. More about this in the next section. 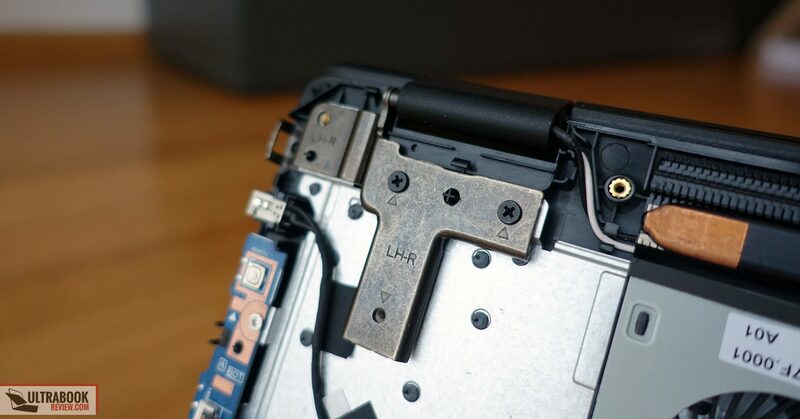 While we’re still looking at the internals, notice the hinges which have some pretty massive bases attaching them to the main-frame, and that’s reassuring on their long time reliability. 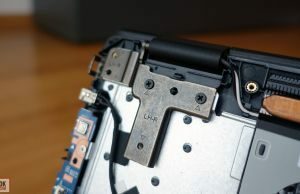 Hopefully the parts that attach to the screen are just as well made. 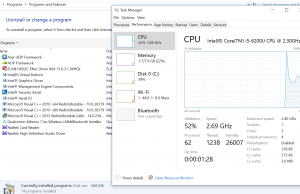 Now, performance is solid with the Spin 5 tested here, but there’s a fair amount of bloatware preinstalled and you should either get rid of it, or better yet do a clean Windows install once you get the laptop. I went with the former option in this case, but I’d recommend the latter. With the bloatware out of the way, the Spin will handle daily activities like browsing, video content, text-editing, music and basic multitasking smoothly. 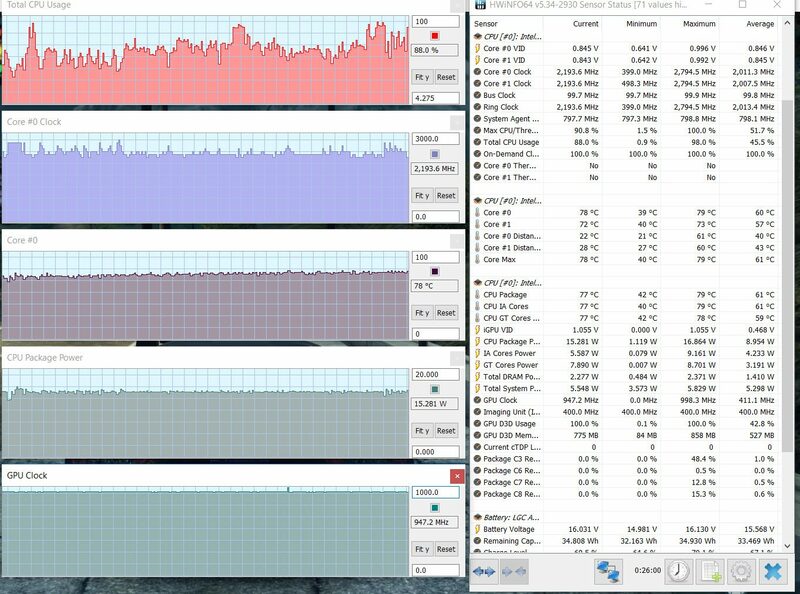 You can also run Photoshop, Premiere or games, as long as you adjust you expectations properly, but I’d recommend the Core i5 configuration for these tasks. 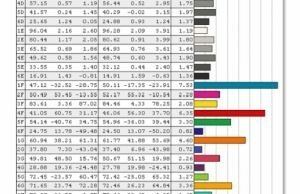 I’ve added some benchmark results below and also a few pics that show the temperatures and speeds in daily chores. 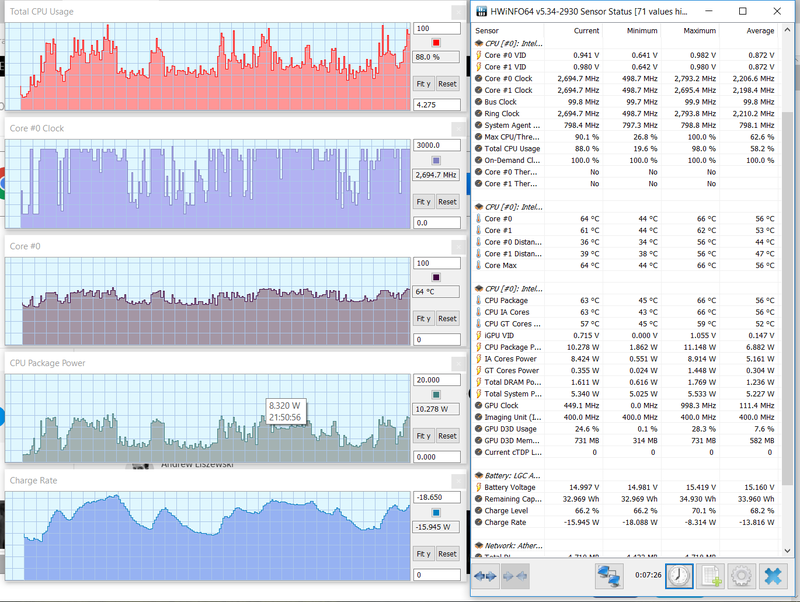 x264 HD Benchmark 4.0 32-bit: Pass 1 – 99.79 fps, Pass 2 – 18.91 fps. 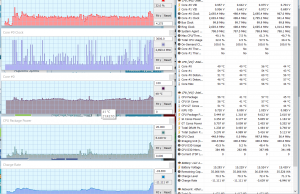 Temperatures and noise are my biggest nits with this laptop. I did test a pre-production unit so there’s a chance the issues I ran into are not going to plague the retail versions, but you should really look for more feedback on this matter, preferably from actual buyers. 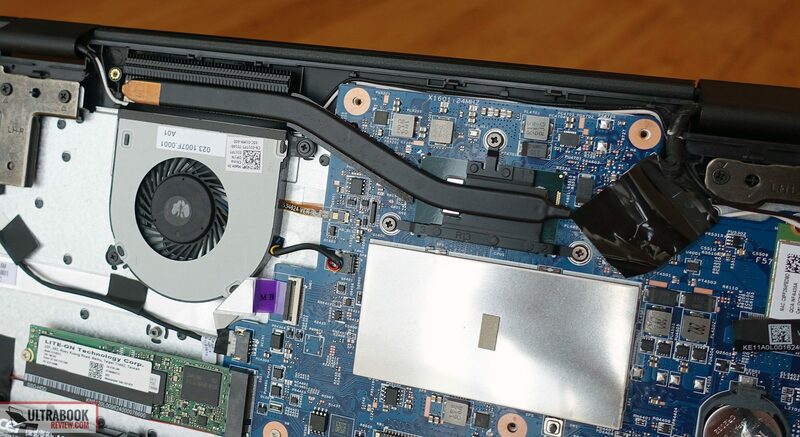 As you mentioned in the pics of the internals, there’s a fan inside the laptop and a rather minimal heatpipe, and the two didn’t really work well together in this case. What I mean by that is the fan mostly keeps spinning slowly with daily tasks and it even goes idle with very basic activities, but then it occasionally bursts to very high speeds for a few seconds once each couple of minutes or when you launch a new program, and when that happens it is very noisy. I can accept having a noisy fan with games and demanding tasks, cause this fan does indeed get noisy in demanding loads, but this type of pulsating with regular use I cannot. That aside, both daily use and load temperatures are abnormally high for this kind of platform and case, and I’d reckon there’s either something wrong with this sample or the cooling system is just undersized and poorly designed. I’m inclined to believe it’s the latter, as the internals don’t reach very high temperatures under load, yet the case does despite that fan spinning like crazy. Either way, repasting the CPU should help, but I couldn’t do it on this test unit. Hopefully retails units will behave better. I’ll keep my eyes out for other reviews and impressions and update this section once I know more, as for now there are too few details on this to draw a conclusion. Connectivity wise there’s Wireless AC and Bluetooth 4.1 on the Spin 5, and Acer went with a Qualcomm AC9377 chip, which is not very fast, but it performs decently both near the router and at 30 feet with 2 walls in between. 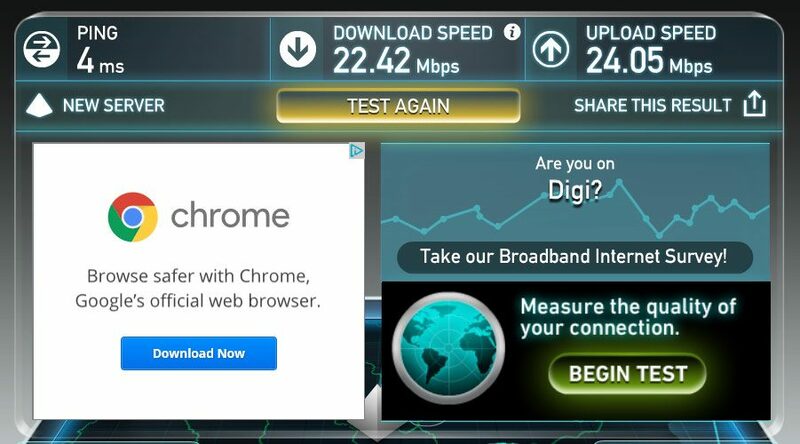 The signal strength is poor by this point, but the speeds are not as bad as with other laptops I’ve tested in the last years so I’d say the wireless performance is alright for browsing and video streaming. The speakers aren’t bad either. They’re quite loud, reaching 90 dB at head-level in our tests, but I’ve noticed some distortions at volumes above 80%, so you’ll probably not want to get past that. The audio quality is average, but the speaker cuts are easy to muffle on the lap and even on a desk due to how thei’re positioned on the belly. 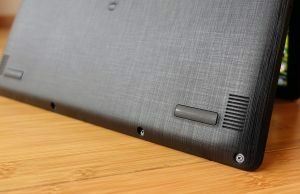 In fact, on a flat surface the audio sounds tinnier than on tablet mode or other cases where nothing obstructs the cuts. 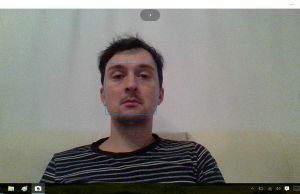 Finally, the camera on this laptop is decent for occasional Skype calls, very grainy in poor light, but quite good with proper ambient lightning. The audio recording does leave something to be desired though, as from what I can tell there’s just one microphone and it struggles when there’s ambient noise around or when you’re speaking and typing at the same time. With a 48 Wh battery, Core U hardware and a FHD screen, the Spin 5 is cable of going for 4-8 hours of daily use on a charge easily, as you can see below (the screen was set at 60% brightness, roughly 120 nits). 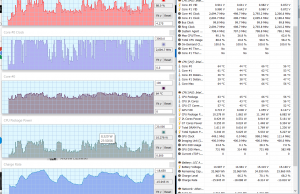 13.9 W (~3 h 25 min of use) – heavy browsing in Edge, Balanced Mode, screen at 60%, Wi-Fi ON. 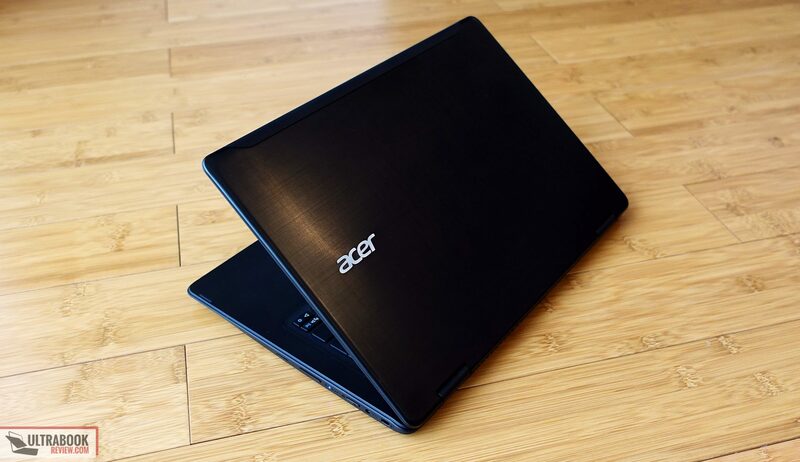 Acer bundles the laptop with a standard 45 W power brick and a full recharge takes around 2 hours and 30 minutes. 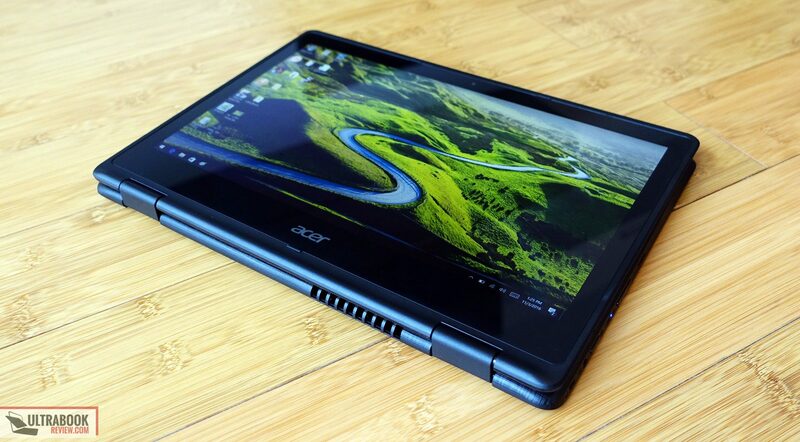 The Acer Spin 5 is several configurations in stores across the world, with prices between $499 and $649 in the US. 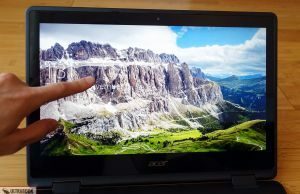 Over there the base model gets a Core i3-6100U processor, 8 GB of RAM and a 128 GB SSD for $499, while the model tested here with the Core i5-6200U processor, 8 GB of RAM and 256 GB SSD sells for $649. 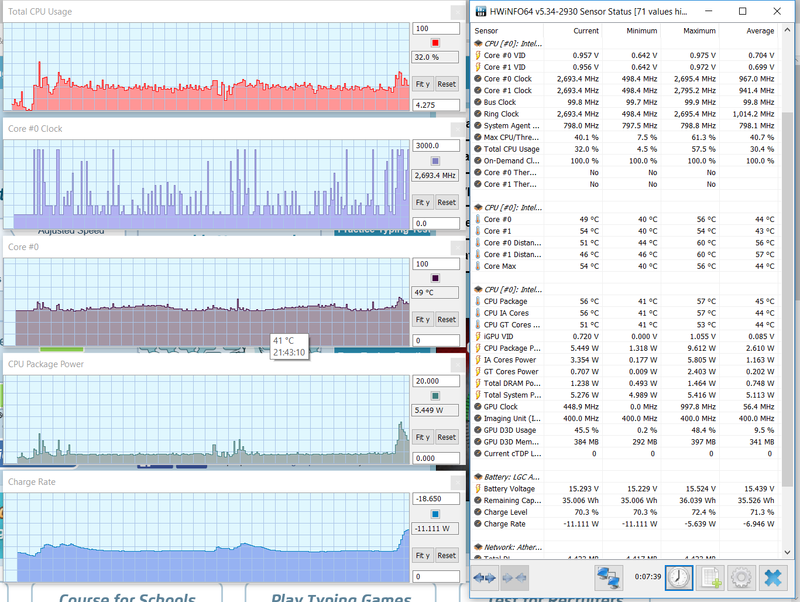 I see more value in the latter, but picking the Core i3 model and upgrading the SSD is also an option to consider. Prices in Europe are a little higher, with the base version selling for 599 EUR in Germany and around 549 GBP in the UK, but with only 4 GB of RAM and the Core i3-6100U processor, while the mid-level option goes for 749 EUR in Germany and includes the Kaby Lake Core i7-7200U processor, 8 GB of RAM and 256 GB of storage. 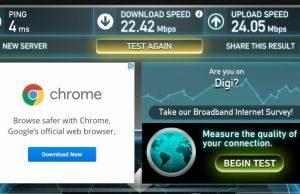 Follow this link for more updated configurations and prices at the time you’re reading this article. The Acer Spin 5 is the most affordable 13-inch convertible with Core U hardware I could find at the time of this post, especially in the US where it is priced more aggressively than in Europe. Knowing this, I was expecting some corners had to be cut in order to meat the lower price point and still end up with a product that wouldn’t sell for a loss. Luckily, there aren’t many. Yes, this Spin is a little heavy and made mostly out of plastic, it gets a shallow keyboard and the IO could be more versatile, but the only two significant nits are the dim screen and the erratic cooling system plagued by a noisy fan and incapable of keeping temperatures down. 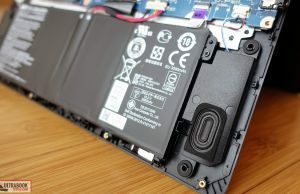 If it proves that the retail versions fair better in terms of temperatures and noise, the panel remains the only potential-deal breaker, and only if you plan to use the laptop outdoors or in other strong light environments. Even with these issues, the Spin is a very good allrounder. It performs well once you get rid of the bloatware, it lasts for quite a while on each charge, it’s well built and it even types well once you get used to the keyboard. 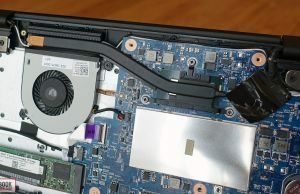 Bottom point, there are some “ifs” and “onces” with the Spin 5, but its pricing is just good enough to justify them, that’s why this laptop scores a 3.75 in this review, which I’d bump to 4/5 in case the cooling quirks are not present on the final models. 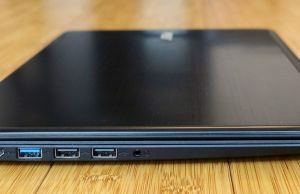 The competition is represented by the Dell Inspiron 5000 13-inch, Asus Vivobook Q302/TP300 or the HP Pavilion x360 13t , each 2-in-1 notebooks wit pros and cons, bust all of them a little more expensive unless you can find them on sale somewhere, and none with Kaby Lake hardware at the time of this article. You should check them out just to find out about their strong points and weaknesses, so you can pick the one that best fits your requirements in the end. 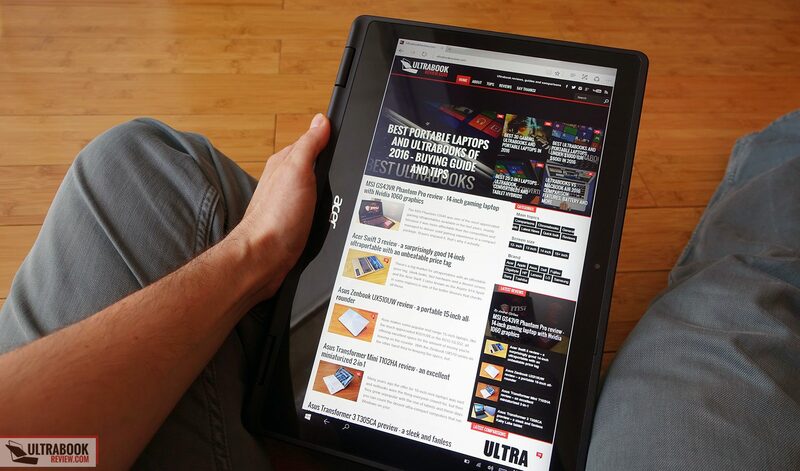 Or you can also check out this article for more suggestions on the best 2-in-1 ultraportables available in stores these days. 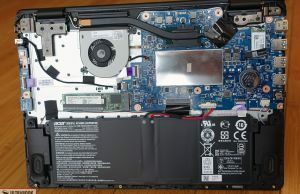 That’s about it for this post, but if you have anything to add about the Acer Spin 5 SP513-51 or any questions, feel free to use the comments section below, I’m around and willing to help out. 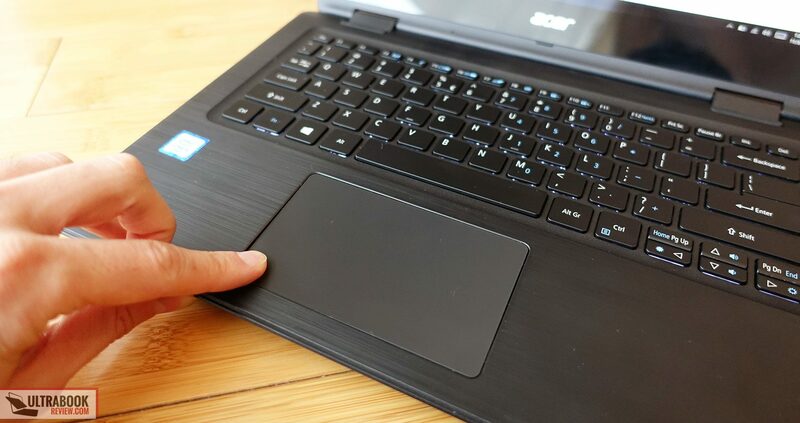 Can you confirm if the trackpad is a precision one? Acer's documentation say it is. 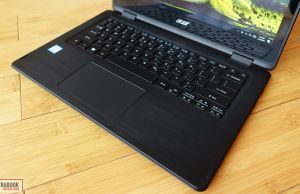 I'm a little on the fence about this laptop, on one hand it really is good bang for your buck but the screen is indeed very dim, dimmer than Acer's claims (220 nits) even, and the single channel RAM means a hit to the performance of the integrated graphics. I still have time until holydays though. I think it is, but why would you care about that? What matters is that it works really well. 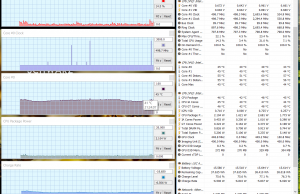 The screen is an issue, yes, but the RAM not that much. Look at the bench scores, they're solid and you're not really going to feel the difference in daily use. I care because I´m interested on any possible new gestures Microsoft might implement, there are new ones in the current insider builds. On daily use the RAM might not be a problem yes but I´m interested in casual gaming, indie titles or old games from steam so the bandwidth is really useful there, comparing the 3DMark scores you got to the Notebookcheck database, they seem to be a little below average, dual channel systems can get scores 20-30% higher and the difference is more noticiable on games than in synthetic benchmarks. Well, yes, the keyword there is "a little". 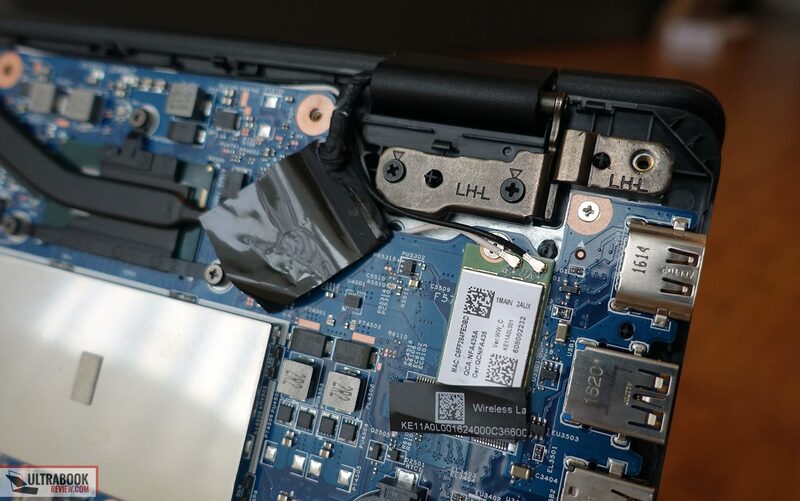 Don't forget how much this laptop costs, some corners had to be cut to get there, and personally I don't think that having single or dual channel memory makes that much of a difference in practice. Plus, it's not like you're buying this for games anyway. This computer is a piece of c***. 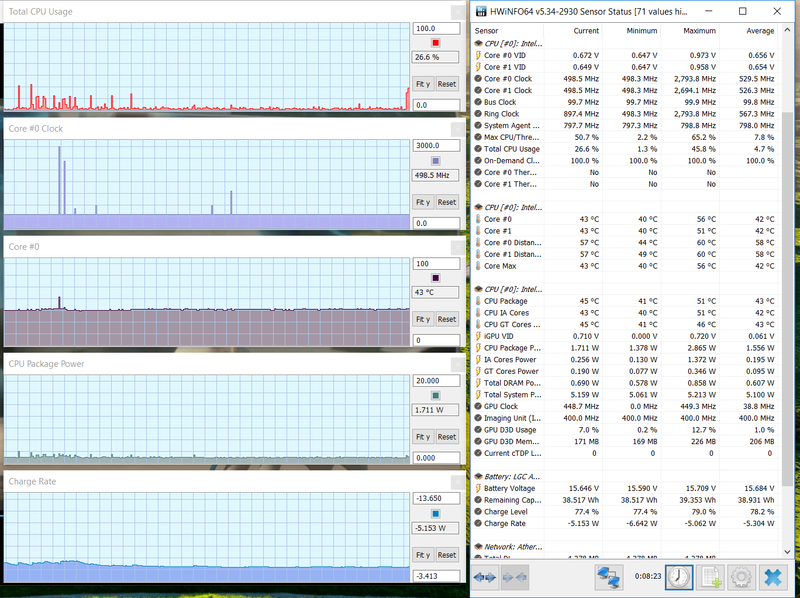 Screen, keyboard and everything else mentioned is unimportant when it's excruciatingly slow. 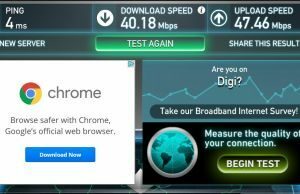 Slow in every way imaginable – slow to mediocre WiFi, processor/memory, data transfer. Just opening a folder takes forever. 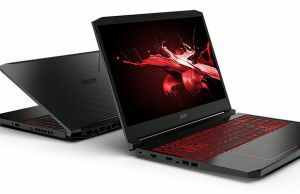 Acer's specs are useless and misleading at least. Wasted $600. How can you recommend junky piece of HW like this? 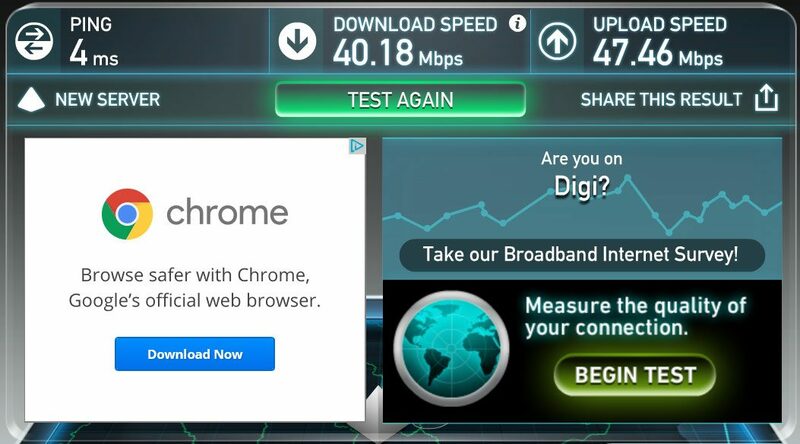 How is it slow? Perhaps there's something wrong with your unit, make sure there are no processes running in the background, like Windows updates and so on. 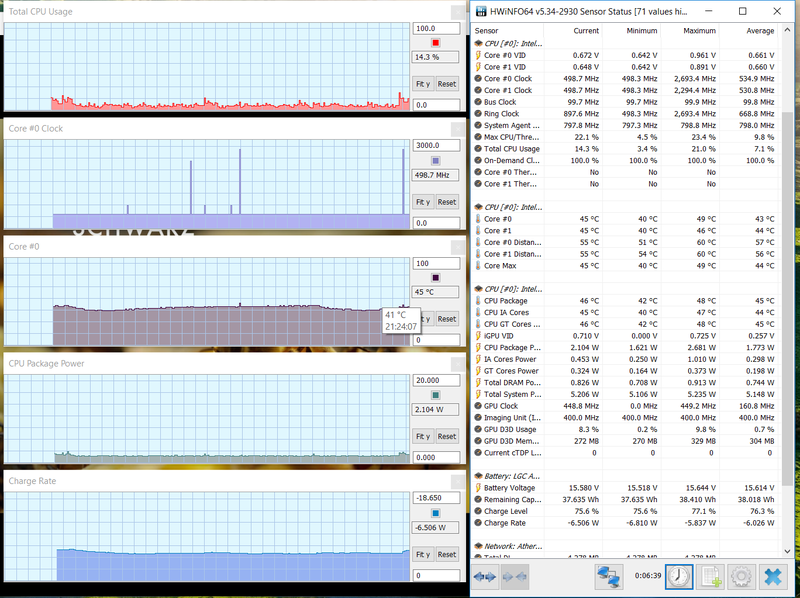 If you got it with 8 GB of RAM and SSD storage it shouldn't be slow at all! 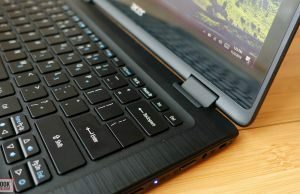 One question – here and there I found info that this laptop is supported by the Acer Active Pen, is it true? That would mean about 256 levels of pressure and good overal sketching and drawing experiance. Edited: Scratch that, it's only going to work with screens that include a digitizer, sry for the wrong advice earlier. I can't tell for sue whether the Spin 5 includes a digitizer or not though, some literature mention it does and that means it would be compatible with the Pen, but I didn't have an Active Pen to try it out. 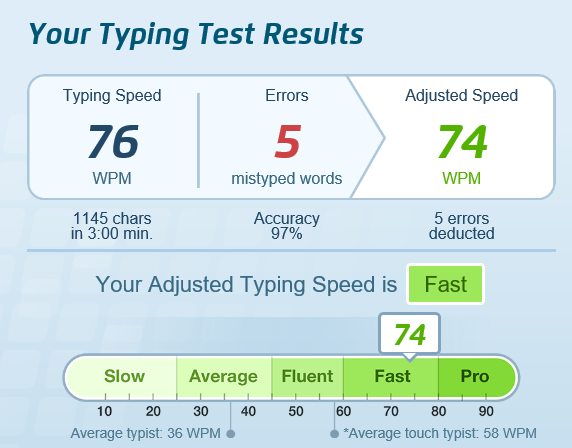 Not most touchscreen laptops, very little. They need an "active digitizer" and there are very little of those. To get levels of pressure (not like normal pens that just either click or don't, they get the ability to mesure how strong was the click). 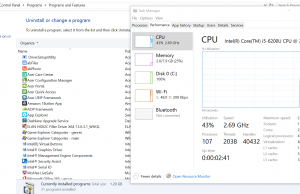 This should be in win10 then you can try checking settings>about, there is pen/touch support information or you can try looking at device manager and see if there is anything under the HID. Wacom usually have wacom HID or something. Thanks, noted, but I no longer have the unit to check that out. Acer has made claims (linked) that the active pen works with the Spin 5 in the US version. However, looking at the about in the settings on a SP513-51, not the SP513-51N mind you, only touch support is listed and further other setting involving pens are not accessible. This could be a stock software issue or other such thing. Without the specifically mentioned Acer Active Pen I can not see if installing the drivers or pairing the stylus opens these options (very unlikely) or even if the Acer comments "bright 13.3-inch Full HD IPS touchscreen display can be used with an optional Acer Active Pen with Windows Ink" are true. Because using windows ink was a primary factor for me in buying a "2in1" I'll keep looking into it. Just wondering how you fared with your research? I am interested in the Spin 5 SP513-51 and wondering if it supports the active pen. Hey thanks for this review! I've been waiting for one. 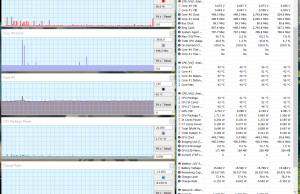 Just an FYI, you got the RAM wrong. 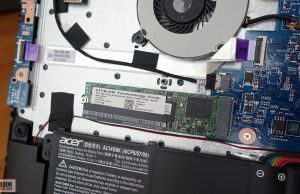 This model uses DDR4 not DDR3. 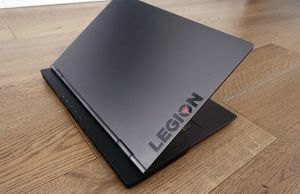 Just to say that I am a huge fan of laptops review and there are only 2 sites that really perform a complete and serious review, this is one of the, AWESOME job Andrei. And the best thing is that you take your time to reply every comment, that is FANTASTIC! !, I love this site!!! 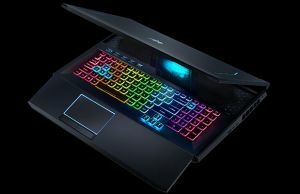 Could this laptop handle some games like Skyrim? and if so for how long do you think? It will play Skyrim on 13 x 7 resolution with low to medium details. Not sure about the new version, with the improved graphics, though, but the old ones play well. And if the cooling system performs properly on the final units (not like on this test sample), I don;t see why it wouldn't be able to handle that for many hours in a row. Hi, Andrei, thank you for the nice review. It has lots of information but easy to understand even for a casual user like me. base on the value you mentioned, I just grabbed one from Costco. I will check out the lighting and heat issues you mentioned. 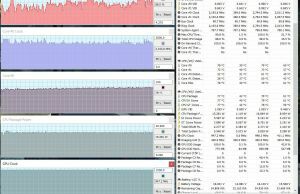 Can you expand a bit more about the removal of bloatware or clean install of windows. how may I do it myself or should I bring it to Microsoft shop. Hi John. For the bloatware removal, there are two pictures in the Hardware section (first gallery, last two pictures) that show the programs that come preinstalled and what I've left after removing them. 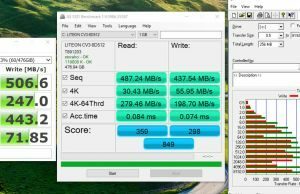 For the clean Windwos install, you'll just need a 4 GB USB stick or larger, there's a tool from Microsoft that helps you create a bootable WIndows 10 drive and some more instructions here: https://www.microsoft.com/en-us/software-download/windows10 . 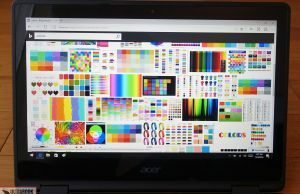 You'll find many other articles on this topic if you'll google for "How to do a clean windows 10 install"
Thank you for this great In-Depth Review! 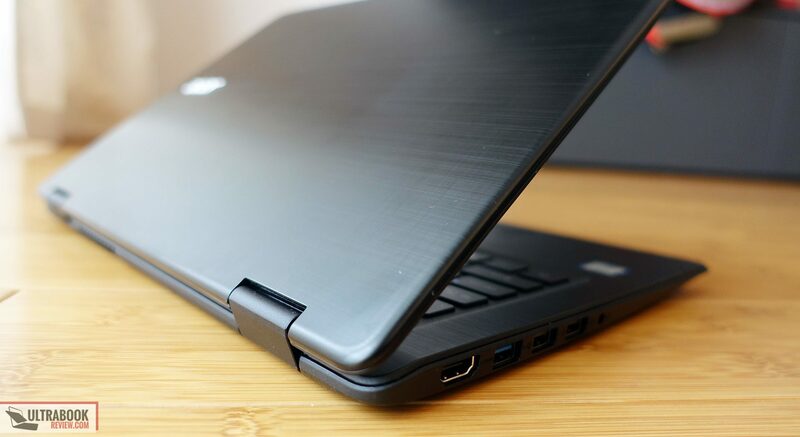 It really helped us to choose a laptop relatively quickly. For future reference, Costco Sells the i5 Flavor online for $499 ($599 + Rebate, Taxes are on full price) – We'll wait until it arrives. Thanks for the review. very useful. Available at Costco for $499 for the i5-6200U model. Seems like a steal. 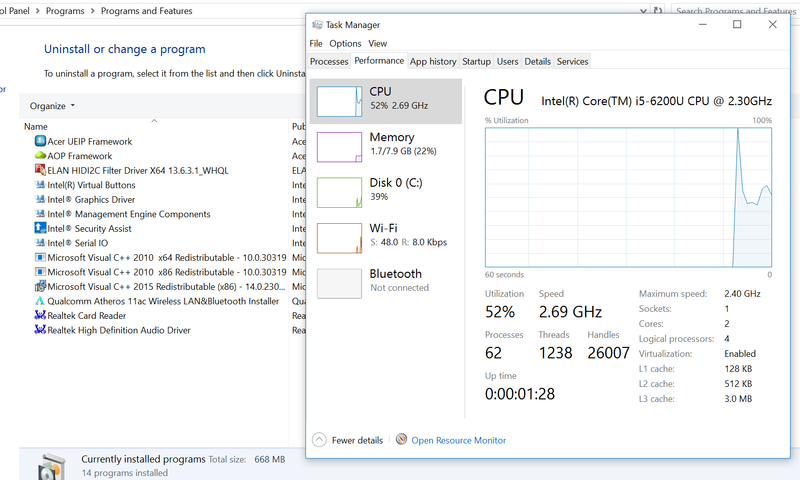 I just got the Lenovo Flex-4 and started to feel that I should have gotten a 13.3 incher with longer battery life instead and this showed up. I will get it and update my thoughts. I am very happy with this review, thank you, but I noticed something when examining this kind, which that the touch screen needs more pressure to respond. Is that correct??! Well, I didn't notice anything special about that, it worked fine on my unit. Perhaps not as responsive as an iPad screen, but pretty decently anyway. 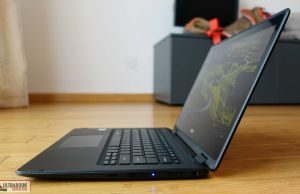 hey awesome review.. i got the laptop yesterday from costco for the 499$. its been functioning pretty well but the only thing which gets me is the fan sound. 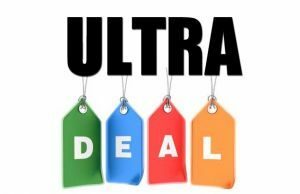 other than that i am ok with this laptop i suppose considering i have a 4 year warranty its a steal..
Hi Andrei, thanks for the great review as it convinced me to get this laptop. Just curious, how did you enable lateral swiping as I was unable to locate that option after doing a clean install. In addition, I noticed that there is an audible beep when plugging and unplugging the charger. I'm wondering if you noticed this on your unit. Again thanks for the review. Don't remember the beep, but it might have been there and didn't notice it. The lateral swipes were enabled by default on my unit, with the drivers that came preinstaled. Andrei – Great reviews, I am really digging them. I have been pulling my hair out comparing holiday deals for a 13-14 inch touch screen at around $600. The Spin 5, the Acer r14, the Dell Inspiron 13 5000, and the Flex 4. I know a year ago you did not have hands-on feedback on the Flex 4 (still? ), but I am leaning very heavily towards one of the Acers. It seems like the build quality is pretty good. It also seems like they share the same cons of bloatware and shallow keyboards. Other than that, is there anything you can say to compare the two and help me in my decision, other than that the R14 is bigger, heavier, and presumably sturdier? THANK YOU!! Still no contact with Lenovo, sry. The R14 has been around for a while, there are plenty of user reviews and opinions online. It's been a while since I tested it, but it felt better built then the Spin. 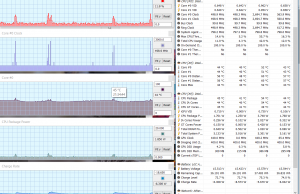 The Spin 5 is alright, except for that erratic fan and the few other details mentioned here. It's hard to pick between them, but I'd probably go with he R14 if it's not more expensive. Thank you for the detailed review! It was one of two I could find on the internet right now. I was hoping so much that they would work the fan thing out. Unfortunately they didn't, for me it's still a dealbreaker :( I really dig this laptop, but I'm afraid I can't look past the fan flipping out because of a little Candy Crush … or regular use, for that matter. Can someone comment on the brightness? Based on the test model vs. production models is it really as low as 180nit? 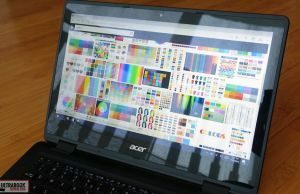 Some laptops have ambient sensors that detract the brightness. When turned off, you can usually get an extra 50-75 nits. 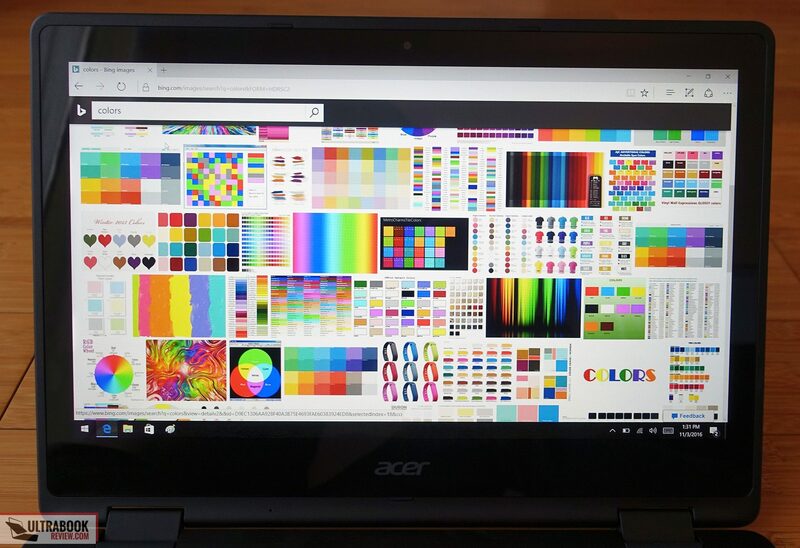 Amazon reviews are looking good, with the notice of the fan noise, but one commentor suggested a bright and vivid screen. Thank you for the in-depth review. You speak about 'final versions'. When do I know when the next version comes out? The final versions are what you can find in stores right now. 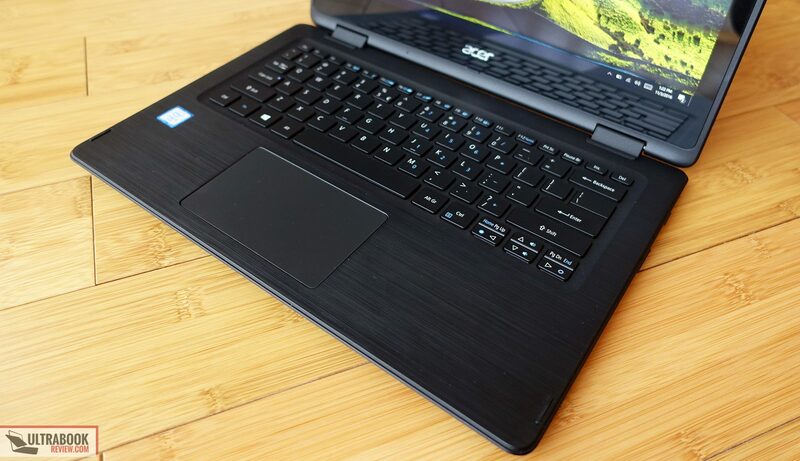 I am French and wanting to buy the Acer Spin 5 with a i5 Kaby Lake and a 512GB SSD, and I was wondering if some of you here had this model? 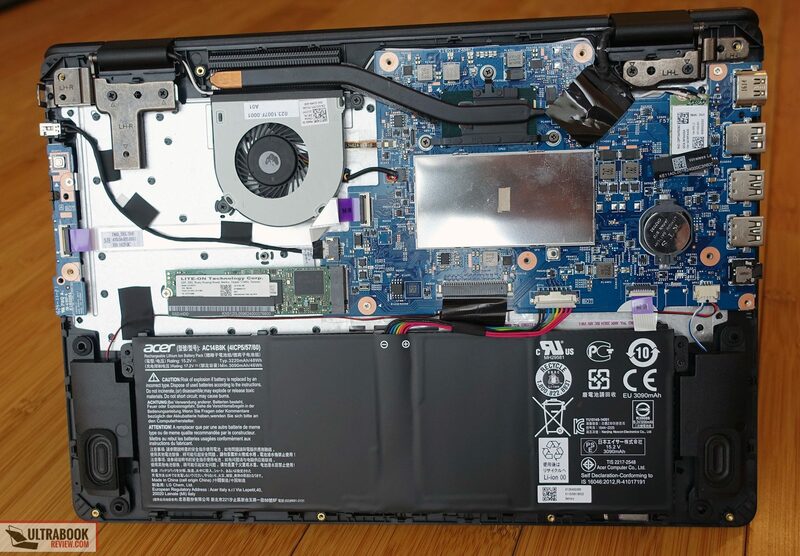 I would like to know if with the Kaby Lake models Acer solved the noisy fan issue, and I'd like to know which kind of battery life I can expect, as i'm buying this laptop for class and need a long battery life. Thanks in advance ! I would expect the Kaby Lake models to behave very similar to the model presented here. Many thanks for the detailed review! 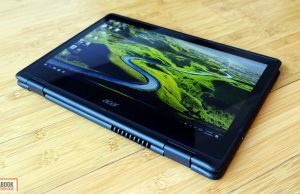 I'm shopping for an affordable laptop to use on the go and the Acer Spin 5 sounds like a good pick. However, I'm a bit torn between the Kaby Lake version of this one and the Dell Inspiron 5378 Signature Edition. 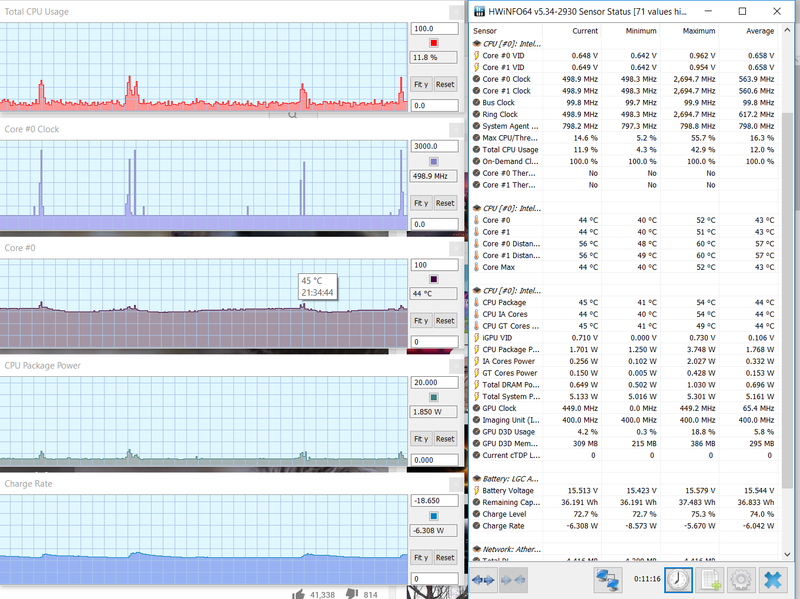 Both have Core i5-7200U, 8GB RAM and 256GB SSD (I would need to swap out the HDD for SSD on the Dell). 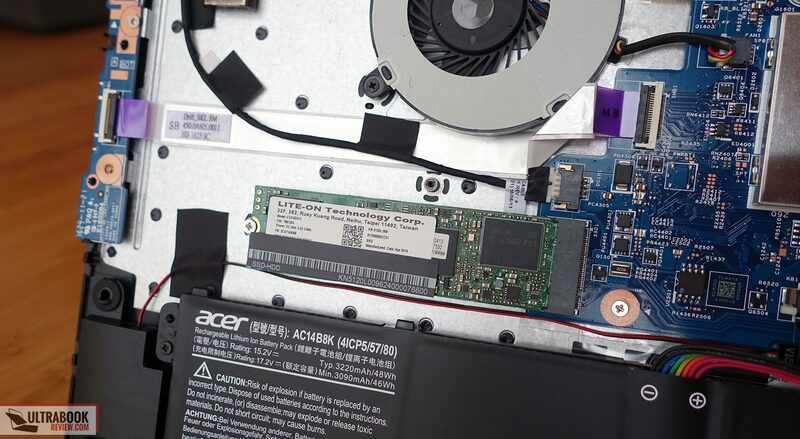 Even the costs are similar (the Acer is around $35 more expensive than the Dell with SSD swapped). What would you recommend that I choose, given the similarities between the two? I would really appreciate your help. 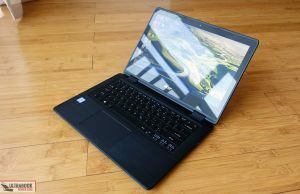 The Acer has better buyer reviews as far as I can tell, but if you're in the US the Dell might be a smarter option, due to Dell's support being somewhat better there. 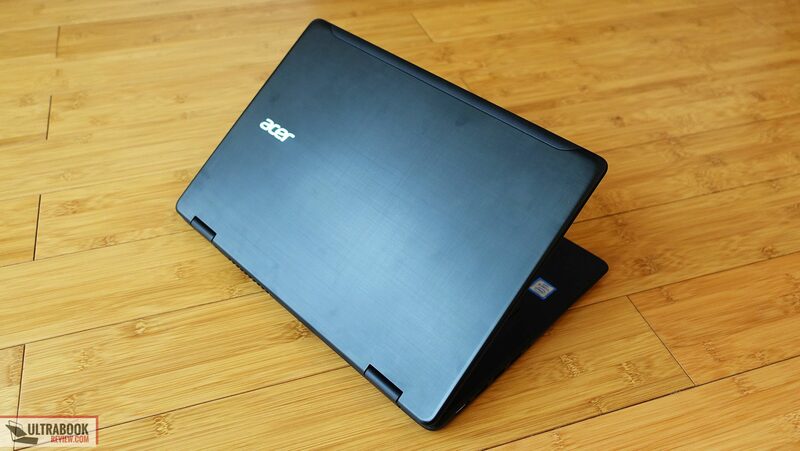 Hi everyone this Acer Spin 5 is the best. We bought this for a cheaper price with high quality. And i am loving it. I'm going to college this year amd I have to choose between acer swift3 amd scer spin 5. While durability is important for me, so is touchscreen (well not equally). Which one should I choose? This is a wonderful review. I almost made a purchase when I stumbled upon your review and now I'm a bit confused. I have to choose between a Lenovo Yoga 520 (Flex 5 – as it's known in the US) and this. The Flex 5 comes with 4 Gigs of RAM while this has 8 and the Flex 5 doesn't have an SSD but has an otherwise massive storage. This is considerably cheaper but idk, I can't decide. 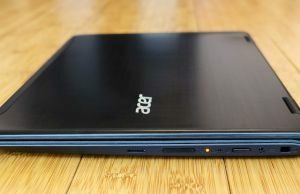 I've always thought Lenovo products are better than Acer. 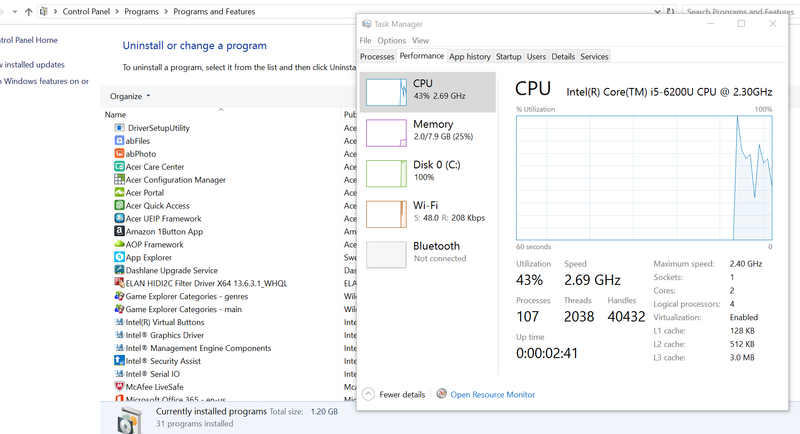 This is a pretty solid laptop and the extra amount of RAM and the SSD are going to make a very big difference with daily use. As for quality, Acers are about average imo. Quality control is a lottery, there's always a chance to draw a short straw regardless of the brand you're going for. Just make sure to buy from a proper place that allows easy returns just in case you're unlucky. 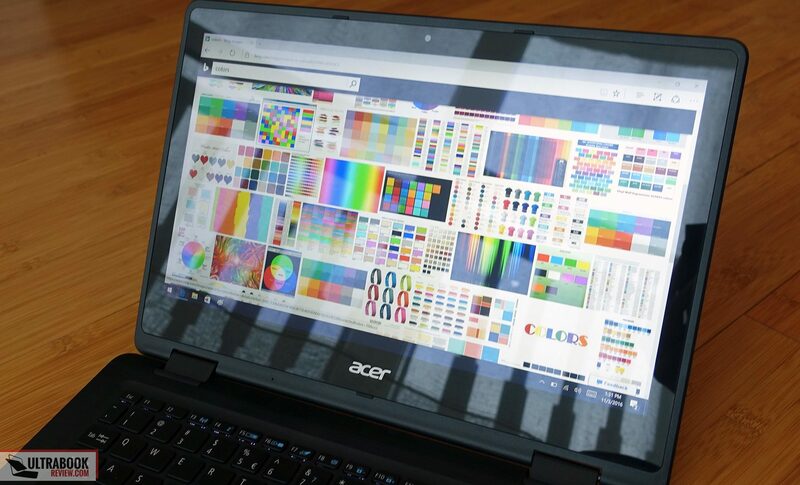 Still not really clear, is the Acer Spin 5 compatible with Windows ink? Model is SP513-51-58FW. 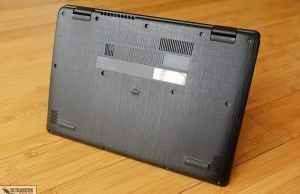 I am interested in convertible laptop in which I can use a stylus/pen to mark on web pages, documents, etc. Not too familiar with Windows 10 or Windows Ink, as I currently own a laptop with Windows 7. 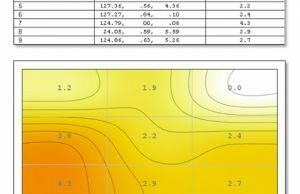 Quick question: does your model's touchpad feel solid? 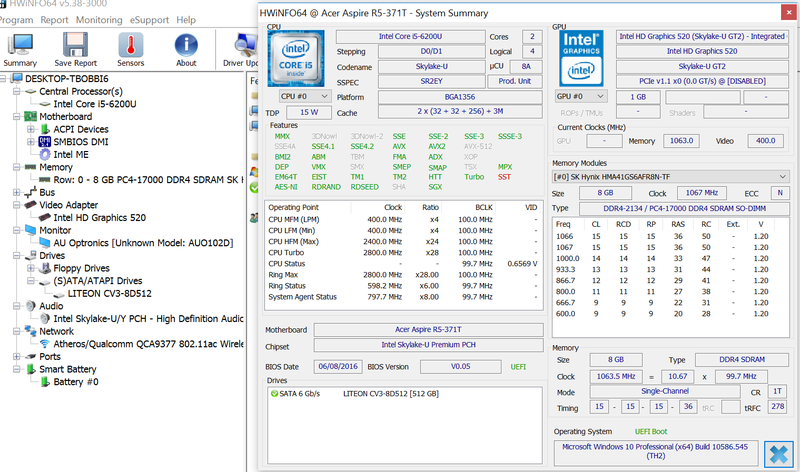 I just bought the 8gb i5 model, used, and my touchpad is very… strange. If you press very lightly on the bottom half, it moves down a couple millimeters and makes a slight noise – if you press a bit harder, it goes down even further and 'clicks' properly. I should mention that when it "half-clicks" it doesn't register as an input on the computer… I'm not sure if this is a defect with the touchpad, so I'm gonna open it up and check it out. Any ideas?